International Hot Rod Association - Racers, is your track signed up for 2013 Summit SuperSeries? Racers, is your track signed up for 2013 Summit SuperSeries? With the Summit SuperSeries season about to begin, IHRA would like to take this opportunity to remind all racers planning to compete in the 2013 Summit SuperSeries World Championship must adhere to all SuperSeries rules to be eligible. As the season gets underway, be sure to check the points page on the Summit SuperSeries website and make sure your track is listed. If your track is not listed then your track is not signed up to participate in the 2013 Summit SuperSeries. If you don't see your track get in touch with your track and find out why. Go to http://www.ihra.com/SummitSuperSeries/Points/ for a list of tracks running the Summit SuperSeries for Top and Mod or go to http://www.ihra.com/Junior_Points/ to see if your track is involved in the Summit SuperSeries for Junior Dragsters. Remember – if your track is not on this list – they are not in the Summit SuperSeries. Call your track and let them know YOU want to be the next Summit SuperSeries World Champion! Join the IHRA Summit SuperSeries which includes IHRA membership benefits, insurance, Summit SuperSeries license and request special registration number (commonly called the “X Number”). 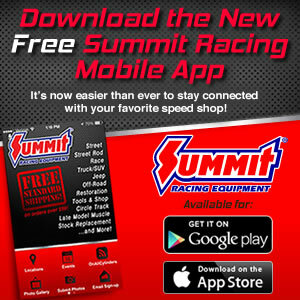 This membership will allow you to participate in the Summit Super Series at your home track. If you have a full membership in IHRA that will be current through the 2013 season already, simply call and get your FREE registration number. Race at your local IHRA track while running your Summit Super Series X number. Your Summit SuperSeries eligibility does not begin until you register with IHRA AND run the X number as your car number at your home track. Your X number must show up on your home track point’s page all year long. Failure to run the X number on your car will make you ineligible for the Summit SuperSeries even if you have a registered X number on file with IHRA. If you are running a car in Top and another car in Mod, you must register and get X numbers for both cars. If you follow these simple steps, all that’s left is for you to win the Summit SuperSeries champion at your home track. You will then have an opportunity to run at your Summit Team Finals for the right to go to the Summit SuperSeries World Championship at Memphis International Raceway in October. Visit IHRA.com for more details including complete rules and guidelines for the Summit SuperSeries program and other great IHRA racing opportunities.